It's better to push snow off the walk than break your back shoveling. 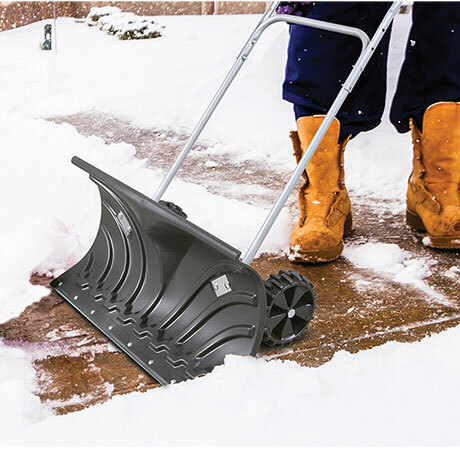 The Rolling Snow Pusher is over two feet wide and is equipped with large wheels to make snow removal easier for you. 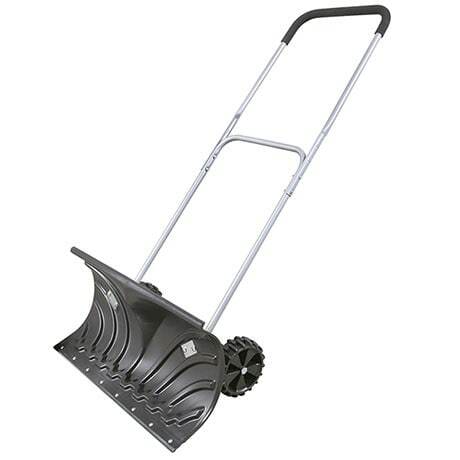 The padded handle adjusts from 45" to 50" and the lightweight, but tough plastic snow blade has a steel reinforced bottom. The handle swivels up to make storage easier too. Easy assembly.